Are you looking for a home with a gorgeous view of the Atlantic Ocean? 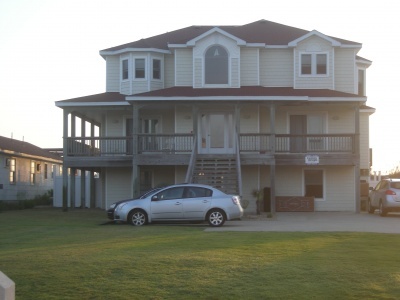 The Outer Banks has excellent opportunities for those looking to buy an oceanfront home. Oceanfront homes in the Outer Banks range from classic Nags Head cottages to the modern-design of Corolla. One of the biggest benefits of owning an oceanfront home, is the potential for high rental incomes. Oceanfront homes often have the highest long term return. Some of the larger oceanfront homes return six digit gross rental income. For many owning a home on the Outer Banks would not be worth it, if not oceanfront. If you are interested in buying an oceanfront homes, you will find the current selection below. If you are looking for something with less maintenance check out, oceanfront condos.